How has your day been? It is currently 11.57pm here in Sri Lanka and suddenly I have more energy than I've had all day today! 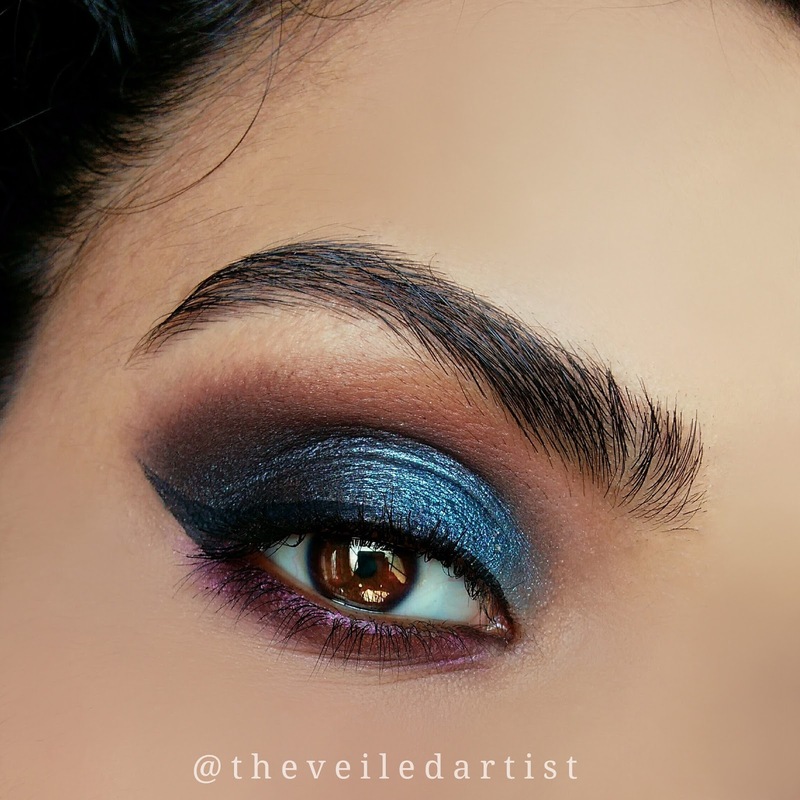 Today's post is going to be a tutorial on this gorgeous gunmetal smokey eyes! I know.. 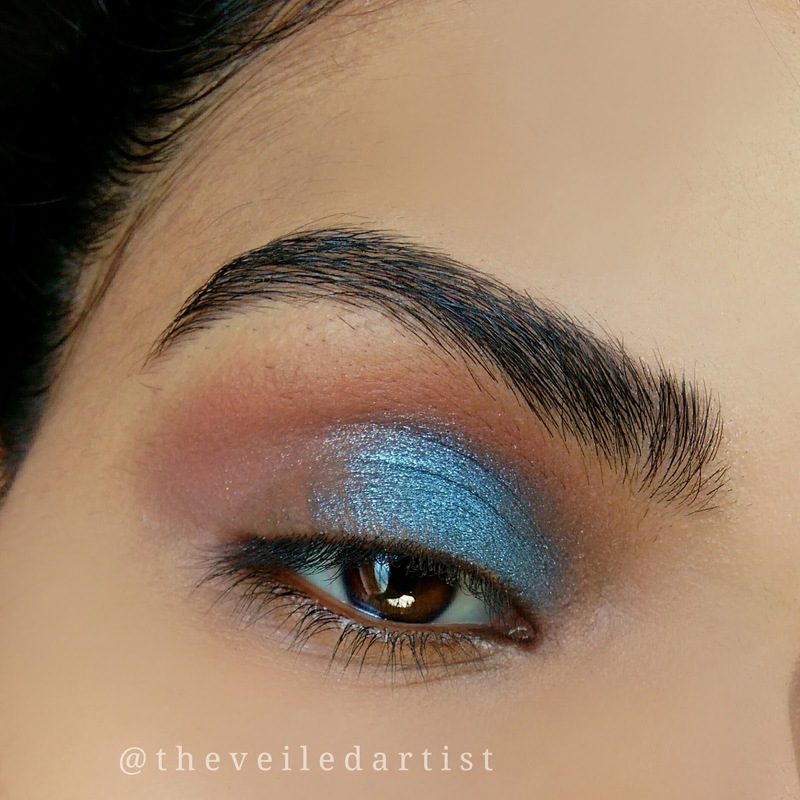 I know it looks blue haha I am well aware but that's because my eyeshadow was so shimmery and reflective, it was reflecting the colour of the wall in front of me haha. 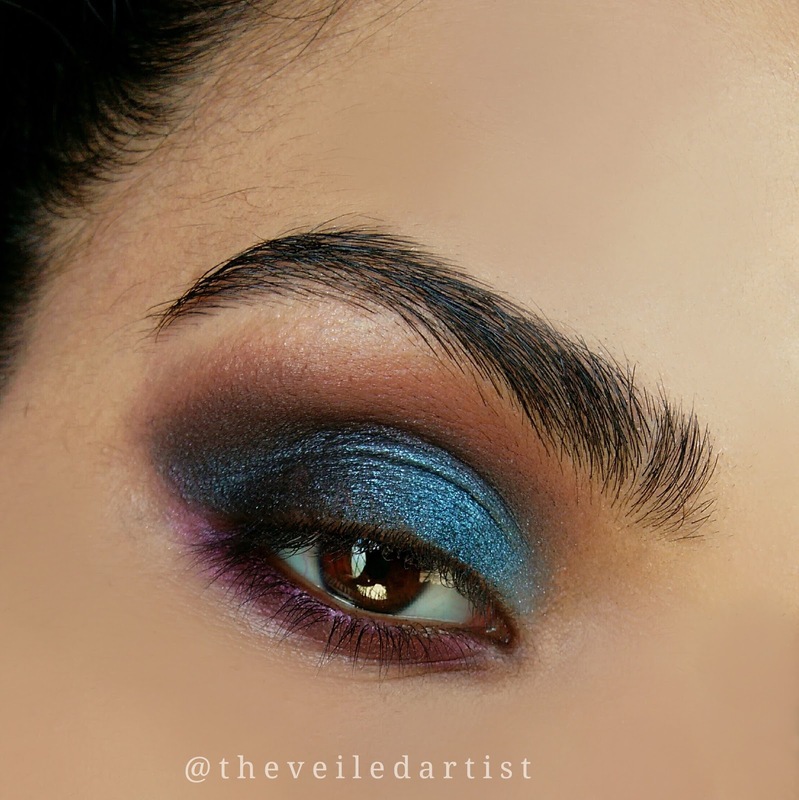 In case you're interested in crazy shine, the eyeshadow was from the la colours smokin' palette. Before we get started, I suggest you do your eye makeup first if you try this look out. 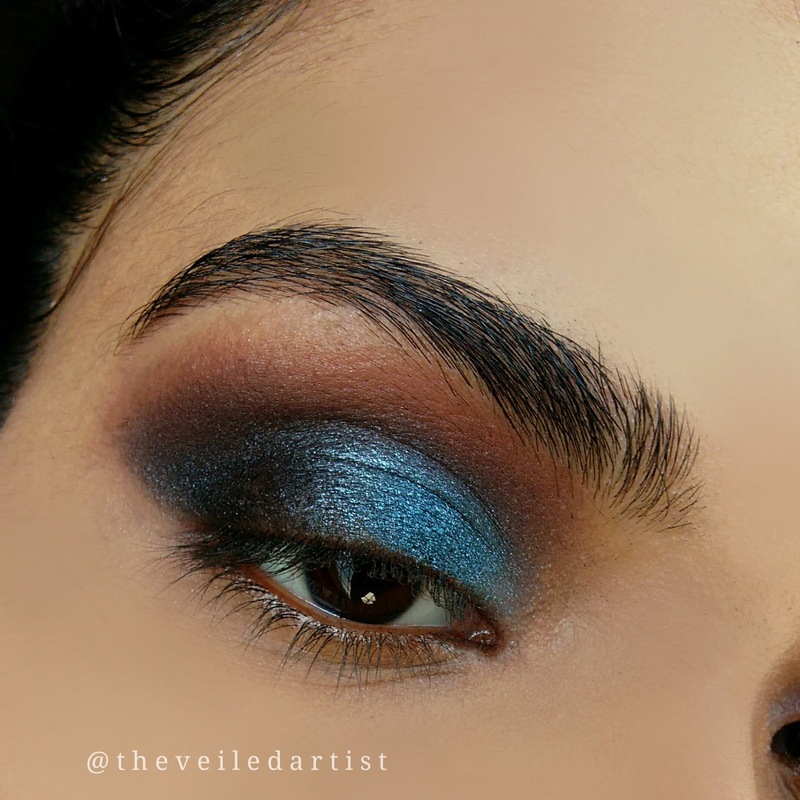 Since we may have some fallout from all dark eyeshadows we are using. 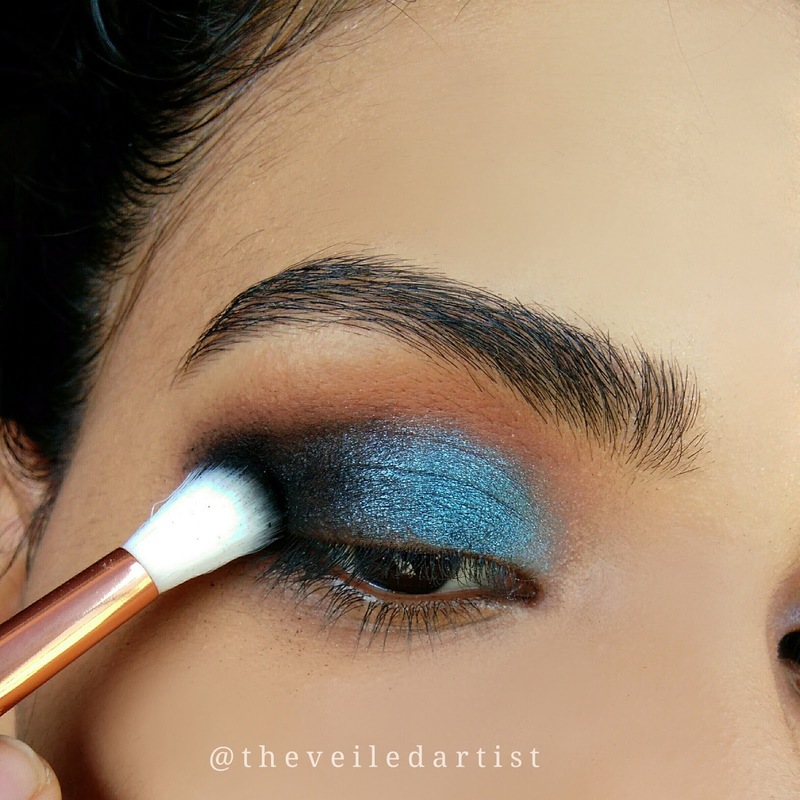 After priming your eyelids(I used my foundation to prime today), blend the warm brown eyeshadow all over your eyelids, into your crease and a little above it. 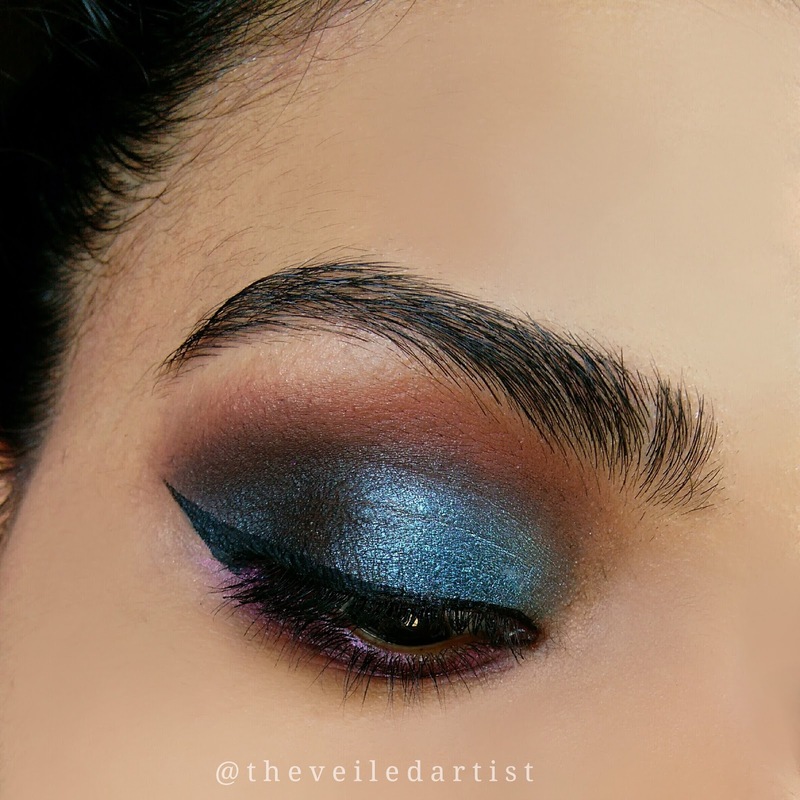 Pat the shimmery gunmetal eyeshadow shade into the inner half of your eyelids. 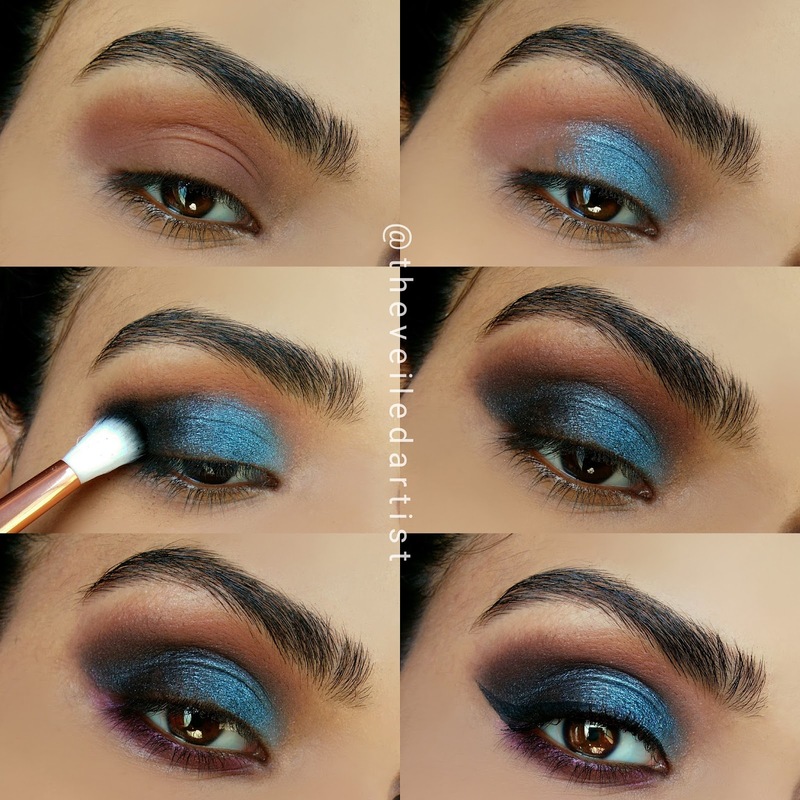 Apply a matte black or dark brown eyeshadow on the outer v of your eyelids all the way till the center of your eyelids where it meets the gunmetal shade and blend the edges of the black eyeshadow out(i.e. the outer v and the center of the eyelids where both the shades meet). 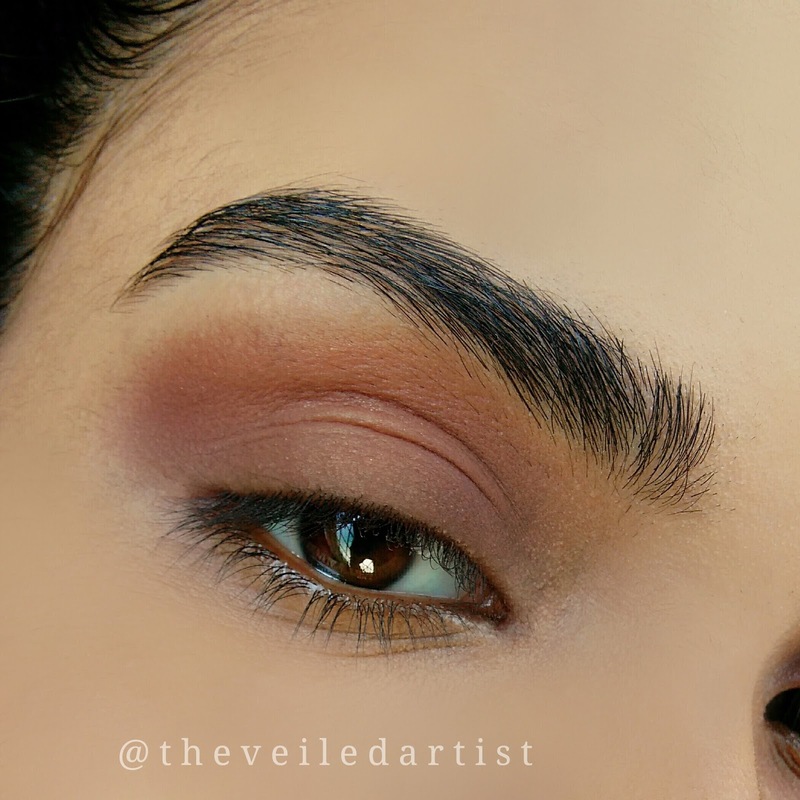 Go back into the crease and blend the same warm brown eyeshadow we first applied all over the eyelids to deepen up the crease a little more. 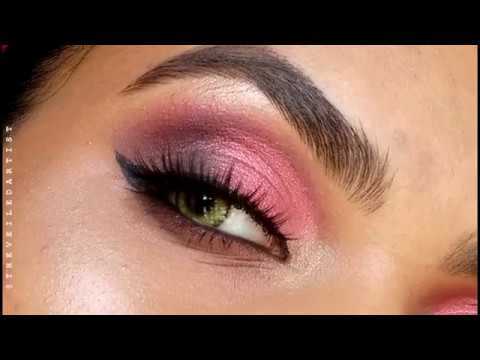 Using a small pencil brush, blend the cranberry shade into and under your lower lashline. Apply the eyeliner, curl your lashes and apply mascara and you are donne!! I hope you enjoyed today's tutorial guys!